“Life After Hope” will be on display on the Beeghly campus. It was created by 17-year-old Daniah Khalayleh, a senior at Liberty High School in Youngstown. “I hope they get inspired, happy and feel content,” Khalayleh said. Akron Children’s Hospital has long had a commitment of including artwork from local students to adorn the rooms and hallways of our various offices. And with our expanded Beeghly campus in Boardman set to open to patients July 11, we’re continuing that tradition. Over 40 students from 6 local schools will have their artwork on permanent display here. This new artwork will be hung alongside existing student pieces that will be moved from other locations, like the Medical Office Building and Akron Children’s Hospital Pediatrics (ACHP) Boardman, to the new Beeghly building. All told, there will be 150 pieces of student artwork on display. One student took notes from Vincent van Gogh for her painting, “Life After Hope,” one of the pieces selected for the Beeghly campus. This 17-year-old student, Daniah Khalayleh, is overwhelmed at the opportunity to have her work be a part of Akron Children’s Hospital. Daniah Khalayleh, 17, created “Life After Hope” — one of the pieces selected for the Beeghly campus. 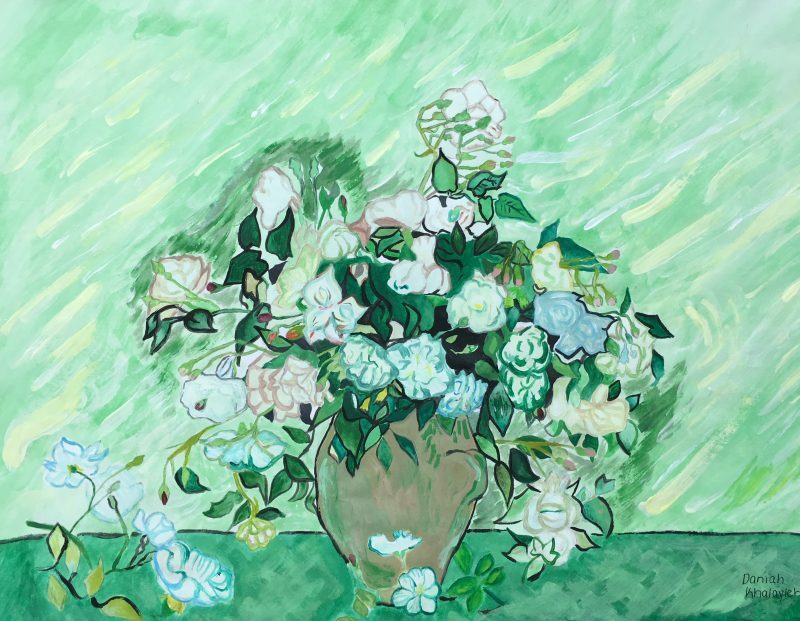 Her piece is an acrylic painting of flowers in a vase, resting on a table against a soft green background. But for Khalayleh, the painting was much more. “I chose this one because it caught my eye. I know it’s not a bright painting, but when I saw it I thought of serenity. When I look at it, it makes me feel calm,” Khalayleh said. It took her 3 weeks to complete her piece, and now she hopes it will have the same effect on the patients at Akron Children’s Hospital as it did on her. Ron Beahn, Akron Children’s art consultant, knows the impact programs like this one have on patients. “Two key components of the culture at Akron Children’s Hospital are their Doggie Brigade™ and art program, which are both geared toward comforting of the kids,” Beahn said. The program is not just about brightening patients’ days, but also demonstrating the connection Akron Children’s has with the community it’s in. “The art program focuses on utilizing local student artwork to ensure involvement from the community serviced by the hospital’s facilities,” Beahn said. 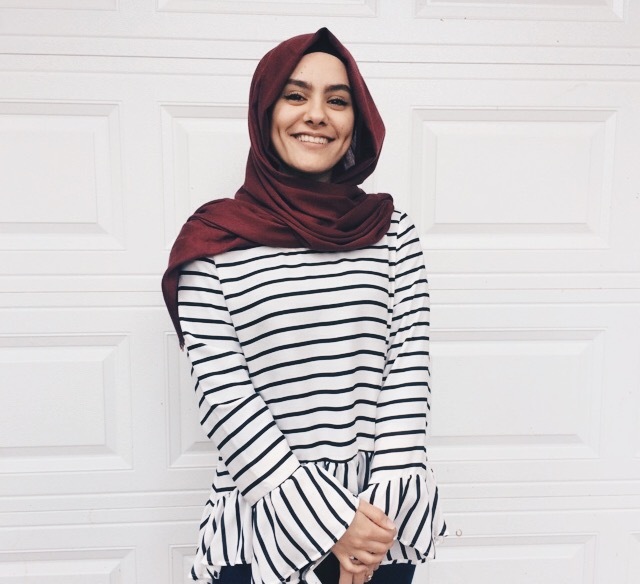 Khalayleh along with other students and community members, will have a chance to view their work at Naturefest on June 17 from 11 a.m. to 2 p.m. on the Beeghly campus at 6505 Market Street in Boardman. This event is free and open to the public.